The Jersey Shore Premium Outlets is conveniently located in this popular, attraction filled area. When you are ready to go shopping, take the day and shop and save at over 120 name brand and designer outlets. Top outlet stores include Adidas, Banana Republic, BCBG Max Azria, Burberry, Calvin Klein, Cole Haan, Elie Tahari, J.Crew, Juicy Couture, Kate Spade, Kenneth Cole, Michael Kors, Nike, Sony, Theory, Tommy Hilfiger, UGG and more. Jersey Shore Premium Outlets has sales events scheduled throughout the year. Center events include periodic VIP Shopper Club Exclusive sales and special sale weekends during key holidays. 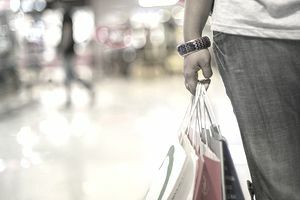 Shoppers can expect to find deep discounts during the Memorial Day Weekend Sale, July 4th Summer Sale, Back-to-School the first week in August, Labor Day Weekend Sale, Columbus Day Sale and Veterans Day Sales. One of most popular sale events at the outlet center is the After Thanksgiving Weekend Sale featuring Midnight Madness. To help plan the best time to bargain shop, visit the Outlet's shopping hours web page which includes the special promotional dates and extended hours. You can also browse the individual outlet stores' current coupons, promotions, ​and sales by visiting the Jersey Shore Premium Outlets Sales and Events page. This is a great way to find the deals going on in the stores so you know which stores to visit first. Get Jersey Shore Premium Outlets coupons and exclusive discounts by joining the VIP Shopper Club. It is open to all shoppers regardless of how often you shop or how much you spend. First-time visitors and travelers along with frequent shoppers can sign up and take advantage of the extra savings. Registration is easy and free. VIP members are allowed access to a special coupons page based on which "Favorite Locations" are selected during registration. It is not unusual to find several 20 percent off store coupons to use while shopping. To sign up visit the VIP webpage. Another way to receive coupons for the outlet stores is by shopping with a group. At arrival groups of 10 or more will receive a complimentary VIP Coupon Book filled with hundreds of dollars in coupons for added savings and special offers at participating outlet stores. Visit the Jersey Shore Premium Outlets Tours webpage for information or to reserve your tour group's spot. For more information please visit the Jersey Shore Premium Outlets website.